Tomorrow night, UFC featherweight champion Jose Aldo looks to continue his reign of dominance in the main event of UFC 163. He returns to fight in his native Brazil against the “Korean Zombie,” Chan Sung Jung, in one of the most eagerly anticipated battles of 2013. UFC 163 will be available live at 8 p.m. CT on pay-per-view (PPV) from Suddenlink. Four preliminary matches will be broadcast live on FX, which is available to virtually all Suddenlink customers who have what is commonly known as Expanded Basic TV service. 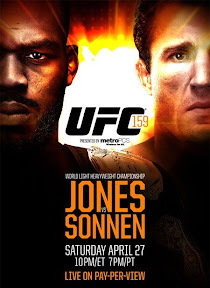 Light heavyweight champion Jon Jones defends his title against Chael Sonnen at UFC 159, Saturday, April 27, live from Newark, N.J., at 9 p.m. CT on pay-per-view (PPV) from Suddenlink. In the co-main event, Michael Bisping will meet Alan Belcher. Other bouts on the main card include Phil Davis vs. Vinny Magalhaes, Roy Nelson vs. Cheick Kongo and Pat Healy vs. Jim Miller. The Rock, John Cena, Brock Lesnar, CM Punk, and many other WWE superstars step onto the grandest stage of them all, WWE WrestleMania 29, Sunday, April 7, at 6 p.m. CT, live on pay-per-view (PPV) from Suddenlink. The Rock is out to cement his legacy when he takes on Cena in the main event. The three-hour event is available only to residential, non-commercial customers, at a price of $59.99 ($69.99 in high-definition format where available), which excludes taxes, fees, and equipment charges. The event requires a digital set-top box (receiver) and is only available in areas where Suddenlink offers PPV. Other restrictions may apply. Residential orders can be placed using a digital remote or by calling 877-694-9474 for more information. UFC welterweight champion Georges St-Pierre faces his fiercest rival, Nick Diaz, at UFC 158, Saturday, March 16, live at 9 p.m. CT on Pay-Per-View (PPV) from Suddenlink. Other matches on the main card include Mike Ricci vs. Colin Fletcher, Chris Camozzi vs. Nick Ring, Jake Ellenberger vs. Nate Marquardt and Carlos Condit vs. Johny Hendricks. 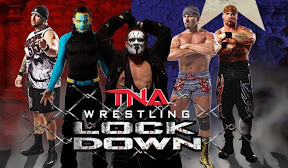 San Antonio hosts TNA Wrestling’s “Lockdown,” live on pay per view from Suddenlink, Sunday, March 10. Action from the Alamodome begins at 7 p.m. CT. Among the many superstars who will perform are Hulk Hogan, Austin Aries, Bobby Roode, Kurt Angle, James Storm and Samoa Joe. Bully Ray will challenge Jeff Hardy for the world heavyweight championship title and two teams will compete in a lethal lockdown match. The three-hour event is available only to residential, non-commercial customers, at a price of $34.99 ($44.99 in high-definition format where available), before taxes, fees, and equipment charges. The event requires a digital set-top box (receiver) and is only available in areas where Suddenlink offers PPV. Other restrictions may apply. Residential orders can be placed using a digital remote or by calling 877-694-9474 for more information. Featherweight champion Jose Aldo takes on former lightweight champion Frankie Edgar in a bout for the world featherweight championship at UFC 156, Saturday, Feb. 2, live from Las Vegas at 8 p.m. CT on pay per-view (PPV) from Suddenlink. Other matches on the main card include Rashad Evans vs. Antonio Rogerio Nogueira, Alistair Overeem vs. Antonio Silva, Jon Fitch vs. Demian Maia and Joseph Benavidez vs. Ian McCall.